Harriet Tubman was born Araminta Harriet Ross to slave parents in 1820. 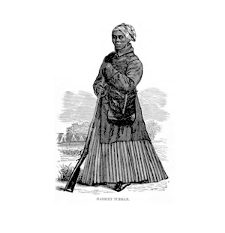 In 1849, she escaped from her owners, was captured but quickly escaped again, making it to Philadelphia where she found work. She went on to become a leading abolitionist.